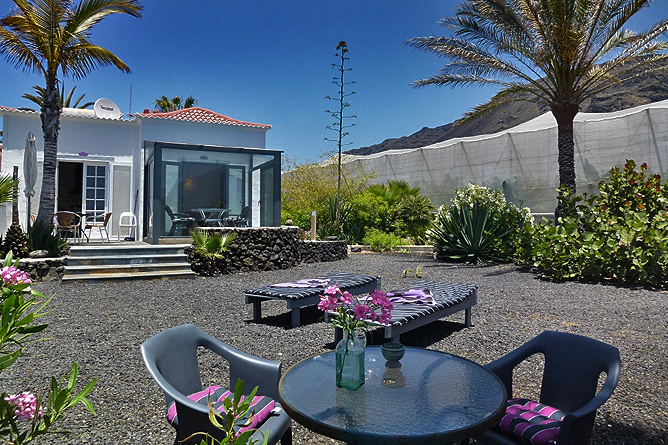 The small Holiday Complex is beautifully located on top of the cliffs, above the picturesque bay of Charco Verde, providing a fantastic Atlantic view. 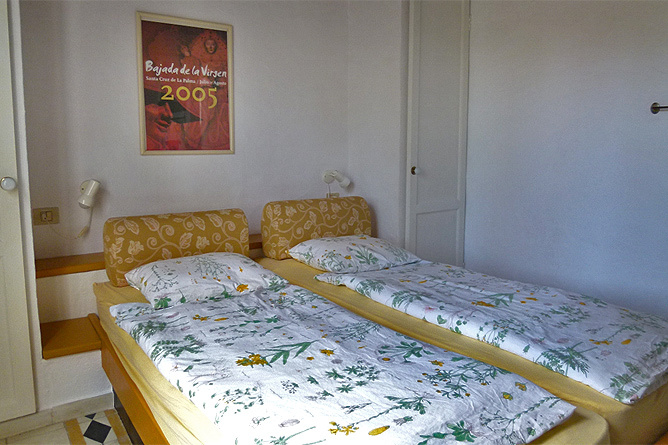 The Bungalow Apartments are surrounded by a lovely arranged, spacious garden with tropical plants. 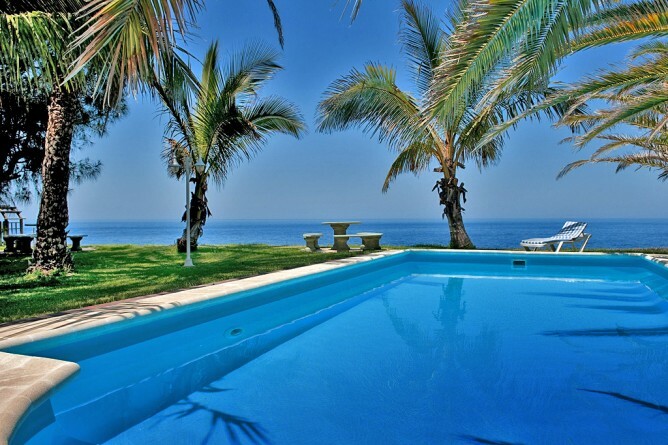 Guests of Villa Carlos, Villa Martha and Casa Lila share the swimming pool – Casa Lila and Villa Carlos share the same grounds. 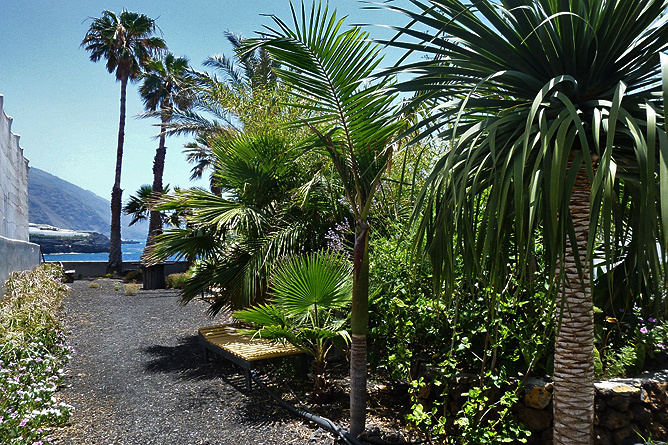 A footpath takes you 200 meters to the sandy beach. 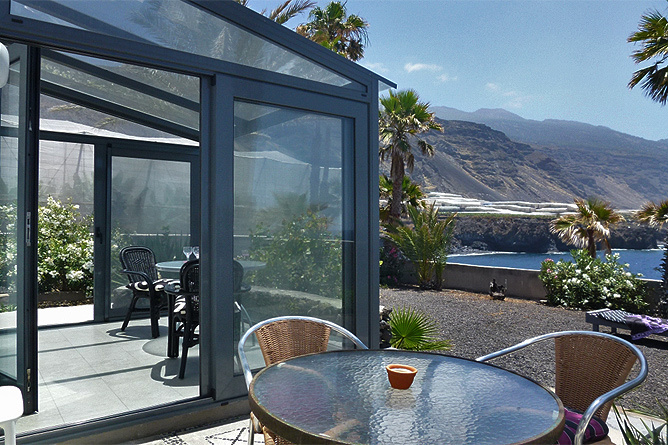 The bathing beach Charco Verde is within a short walking distance. 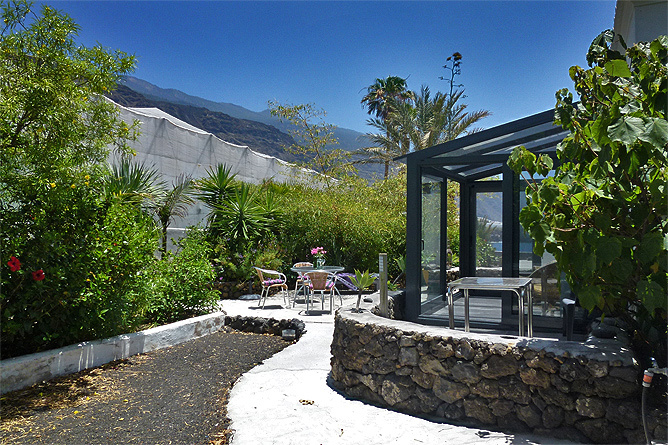 There you also find a Kiosko (snack stand) where you can enjoy a coffee and a snack. 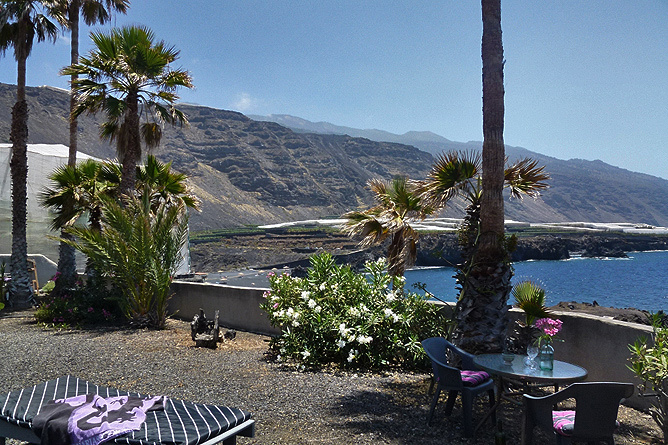 Steep mountains in the backdrop provide shelter from trade winds. 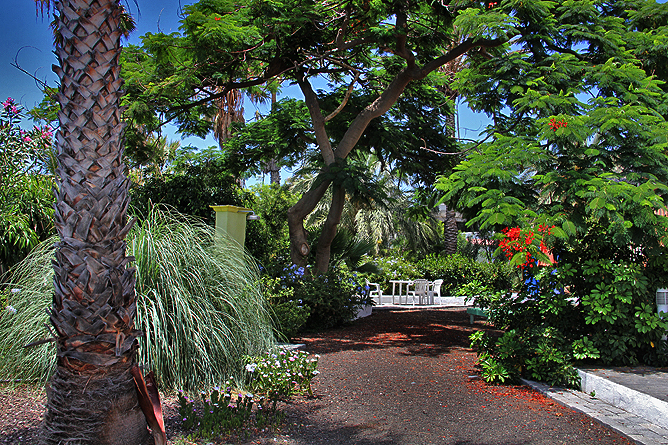 This area provides pleasant temperatures, also during the winter months. 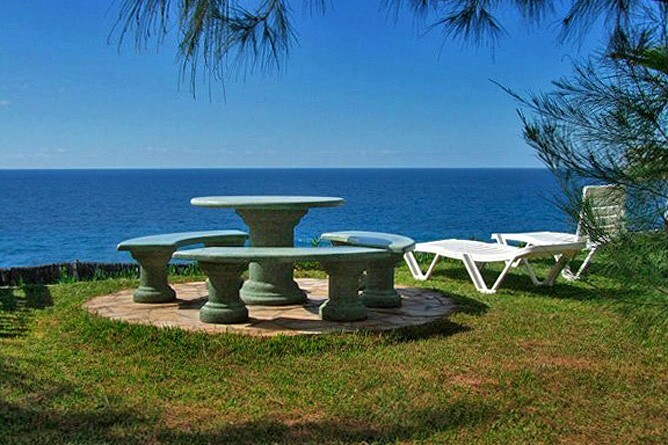 A pleasant climate, a peaceful setting and the sounds of the sea provide ideal conditions for relaxing holidays. 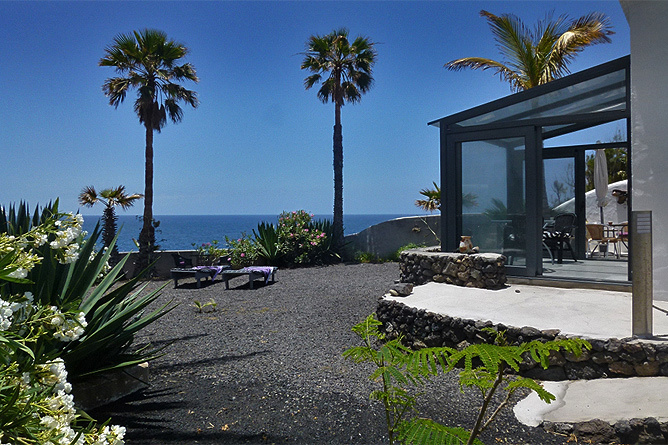 Bungalow Bernhard provides a side sea view from the terrace and the winter garden. 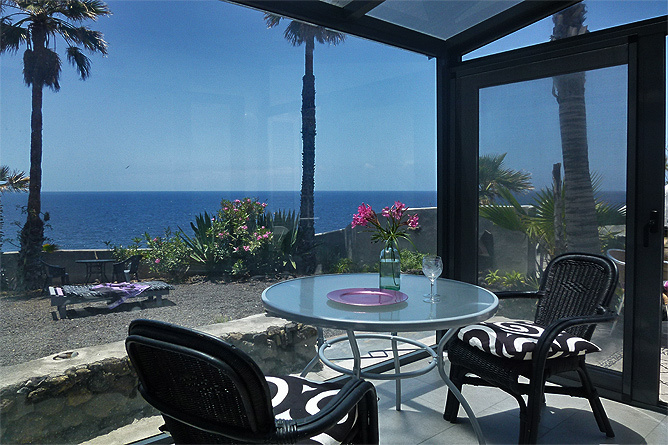 A direct sea view is provided from another sitting area - a bench, located in the private front garden area of the bungalow. 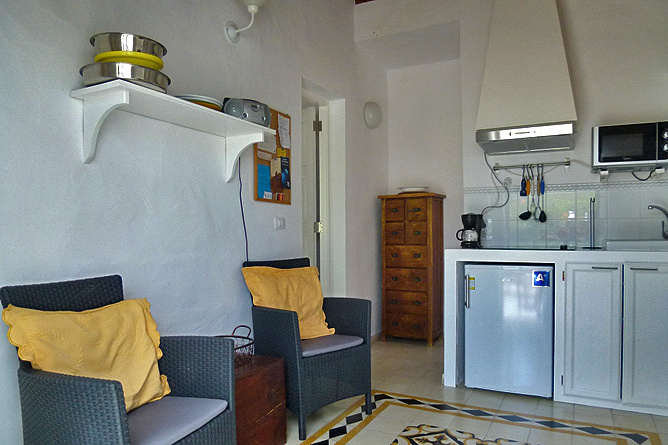 The interior of the bungalow is friendly and features a friendly living area with an open kitchen, a cosy bedroom and a light bathroom with a shower. 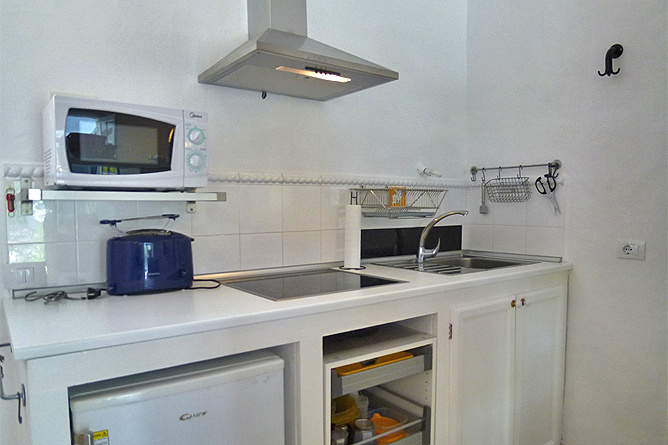 Click here for a general description of the Equipment! 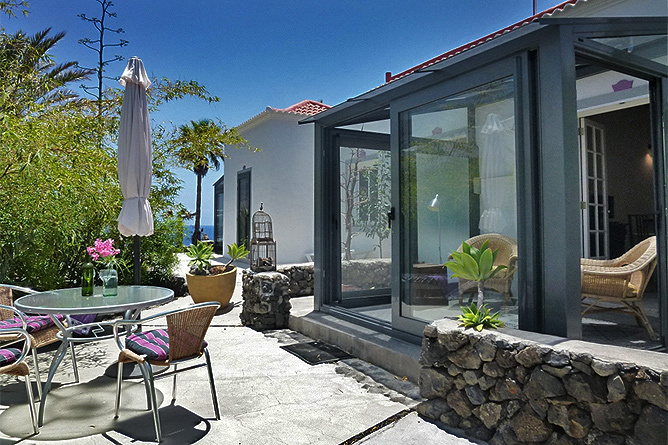 Bungalow Herbert comprises about 50m² living space and has a spacious terrace, a winter garden and a direct sea view facing the bay of Charco Verde. 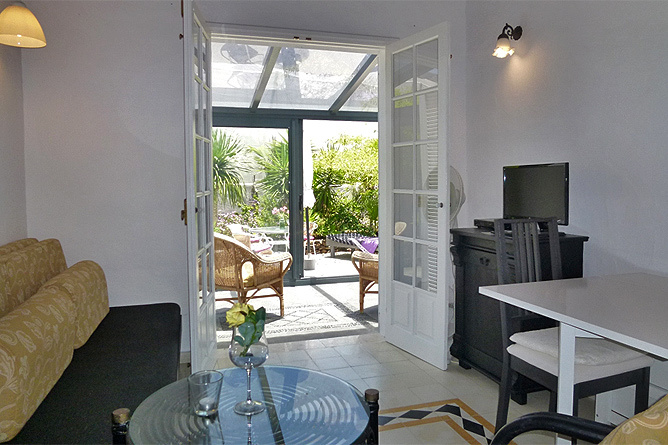 In the interior a separate bedroom, a shower bath and an open living room with a fitted kitchenette and a Canary wood gabled roof as well as beautiful antique tiles provide a charming holiday flair. 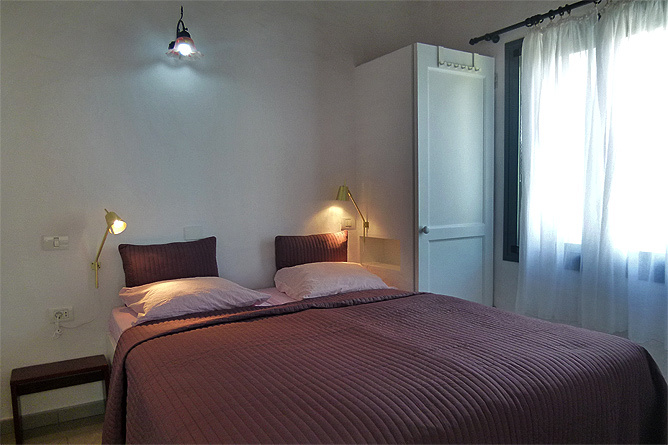 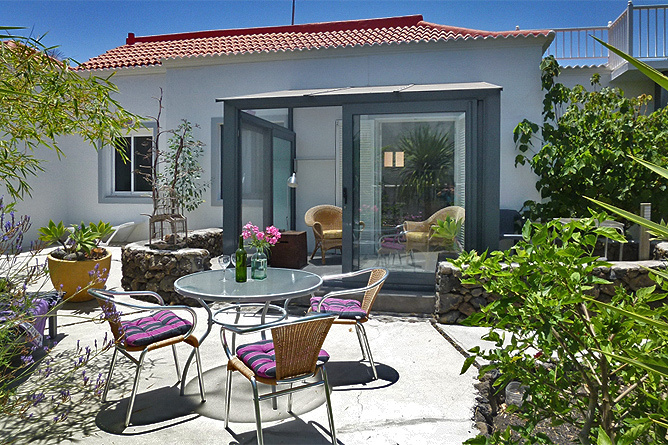 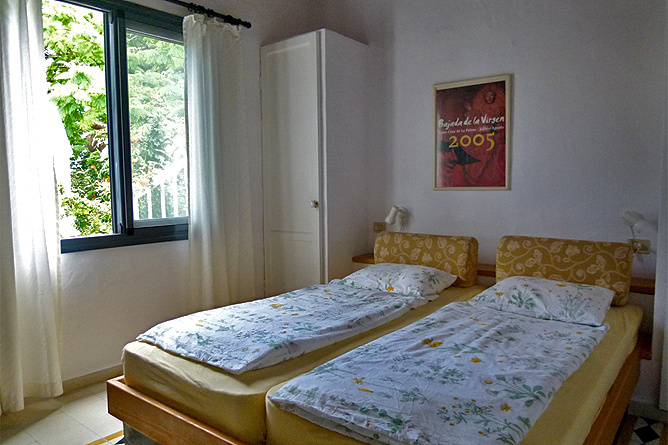 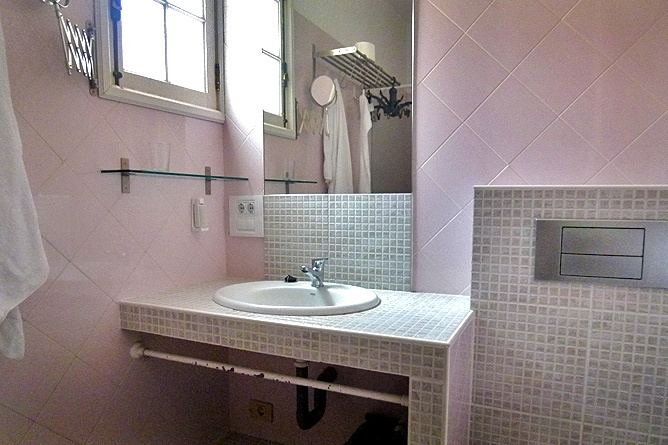 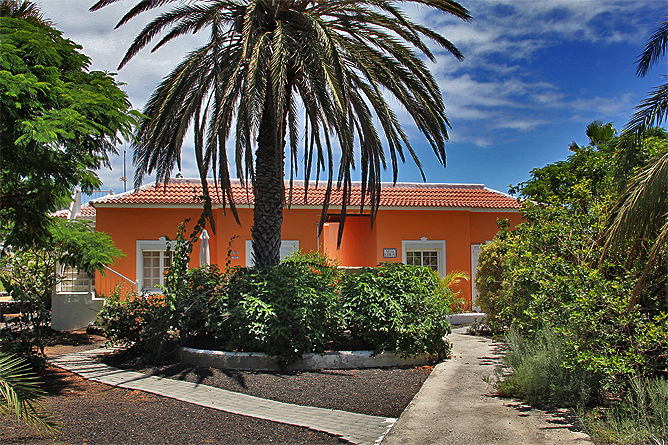 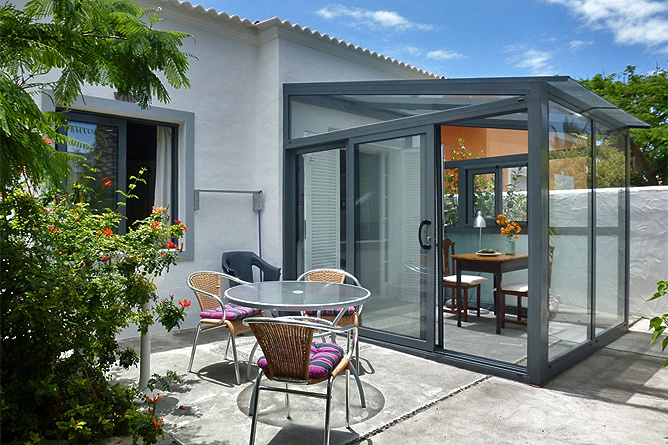 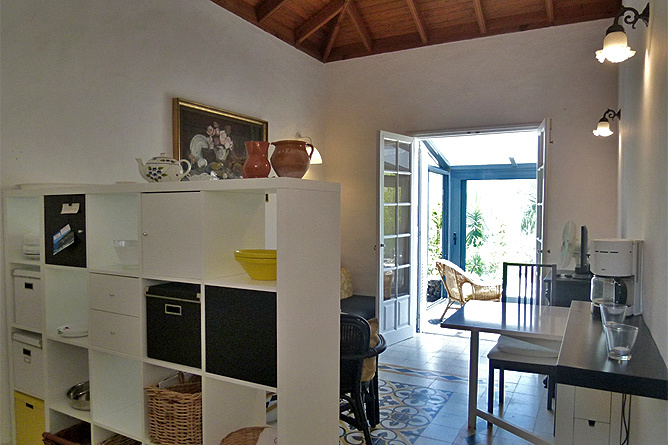 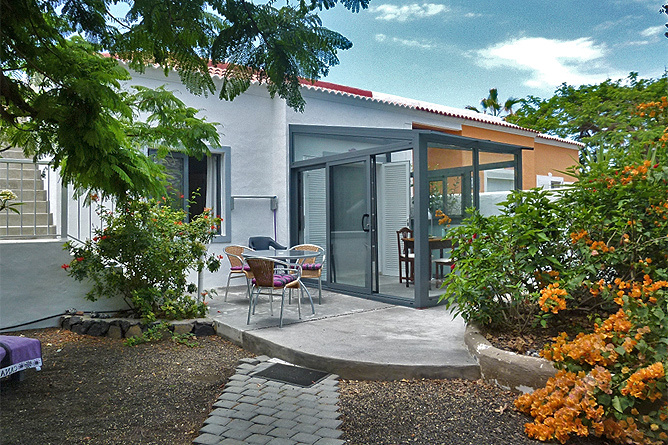 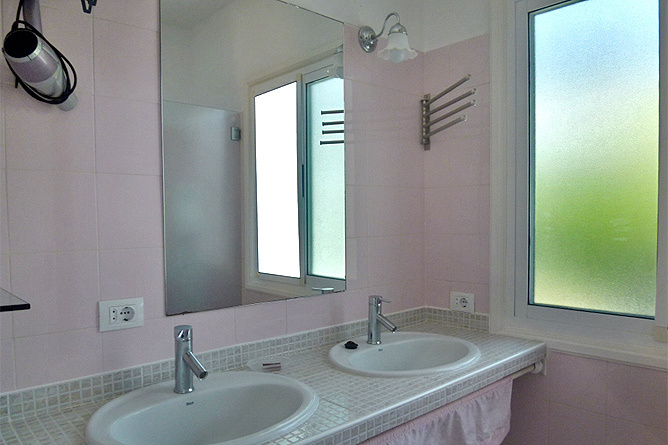 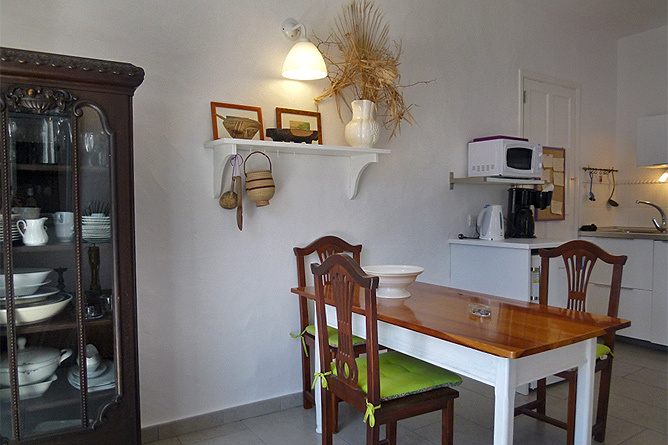 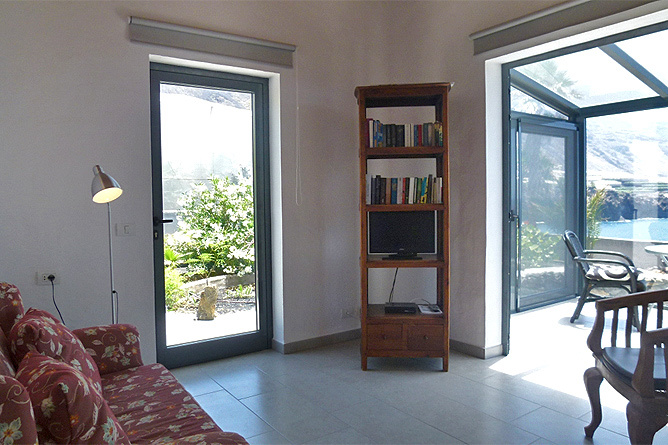 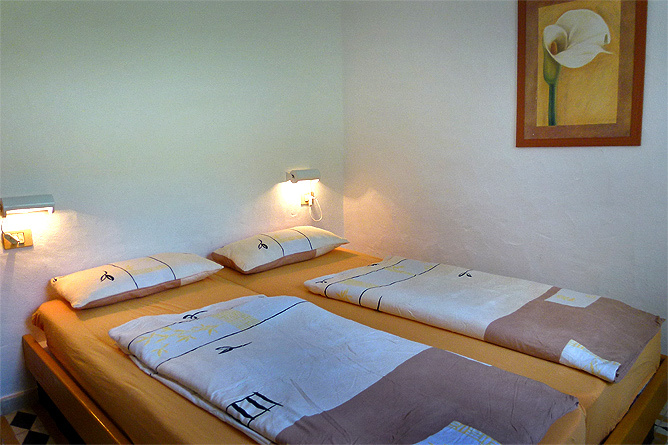 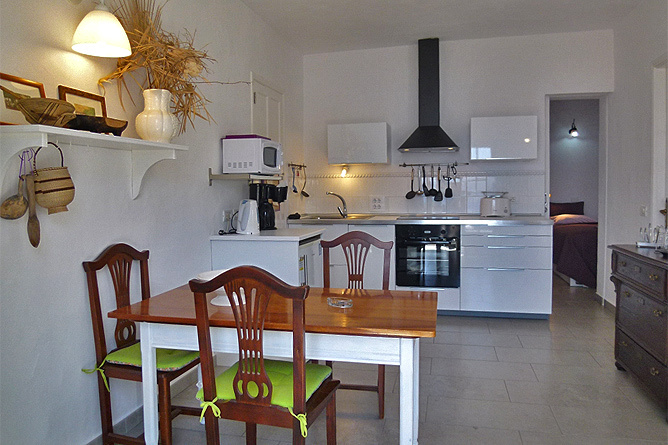 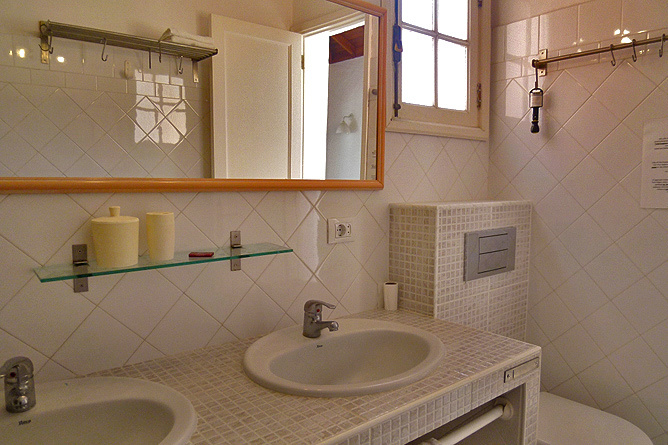 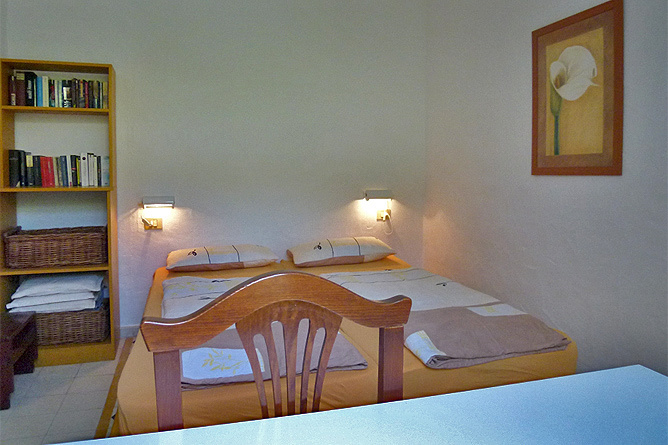 Casa Victor is a small Holiday Bungalow (40m²) with 1 bedroom, a living-in-kitchen and a shower. 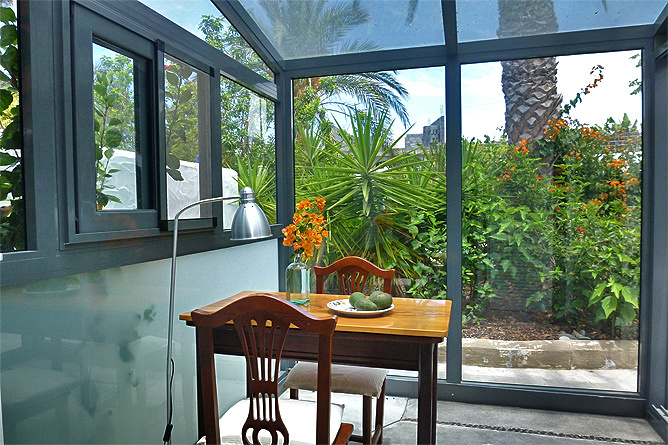 A winter garden extends the living space. 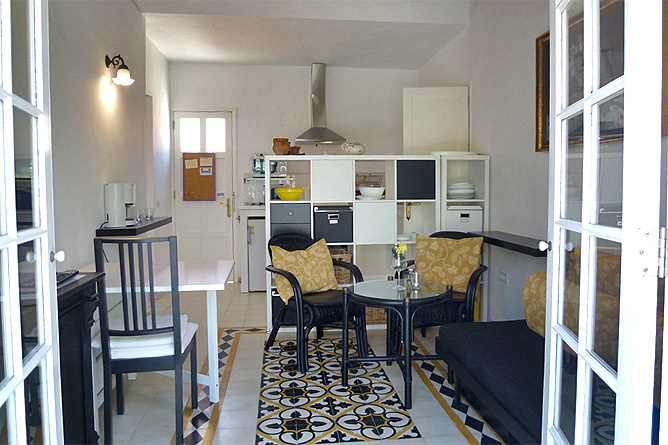 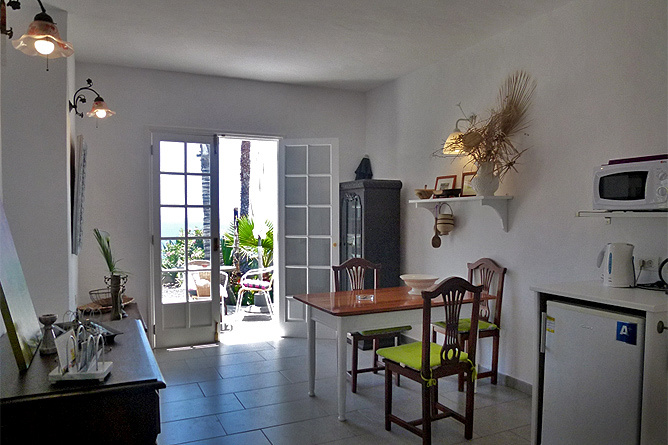 Canary wooden ceilings and beautiful Spanish tiles give the Holiday Apartment its special character. 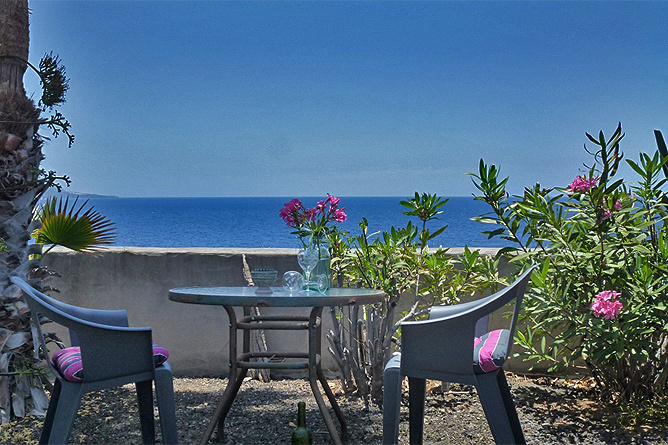 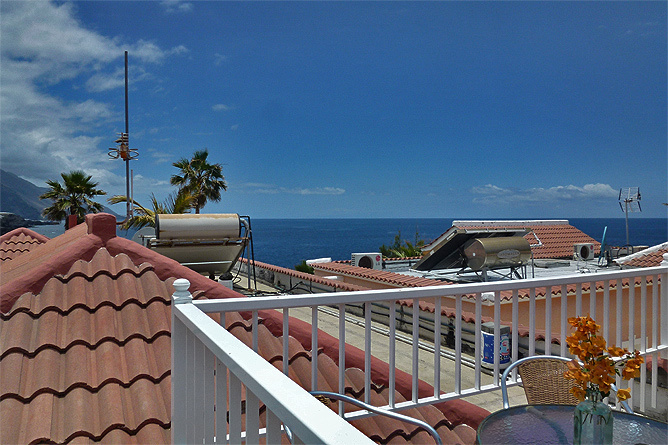 From your private roof terrace you enjoy a great view of the sea and the mountains. 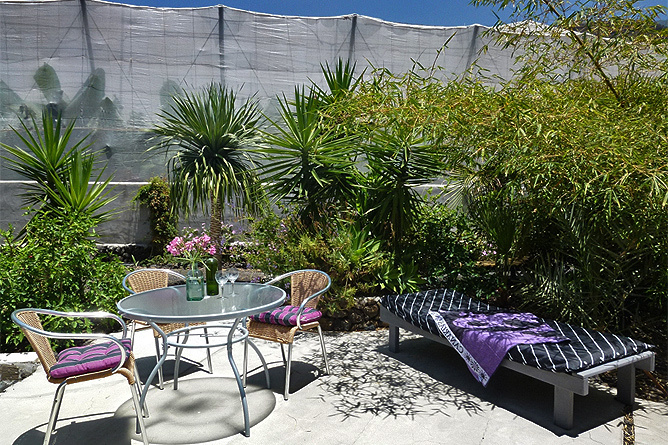 The front terrace features a nice sitting area surrounded by a tropical garden. 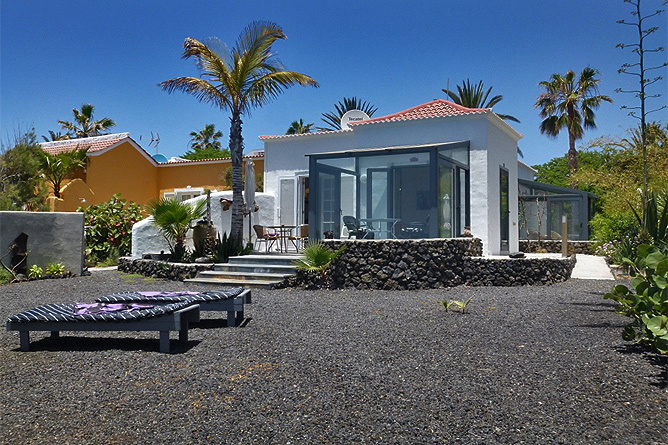 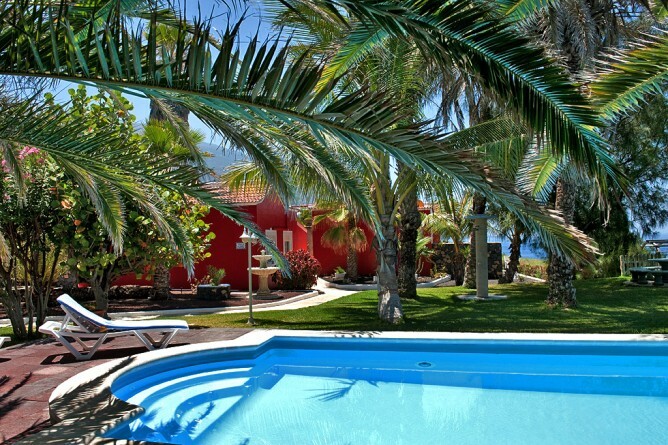 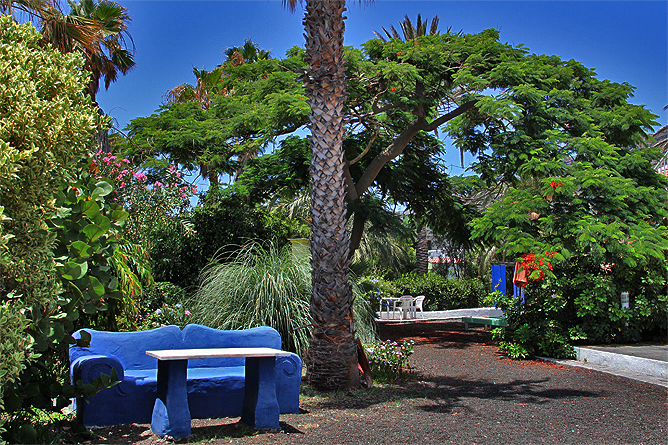 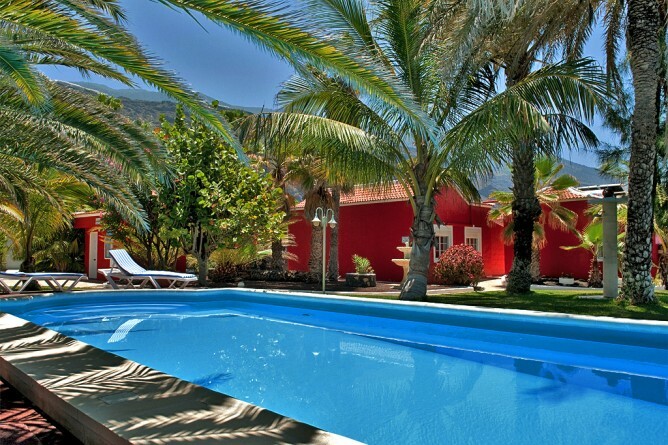 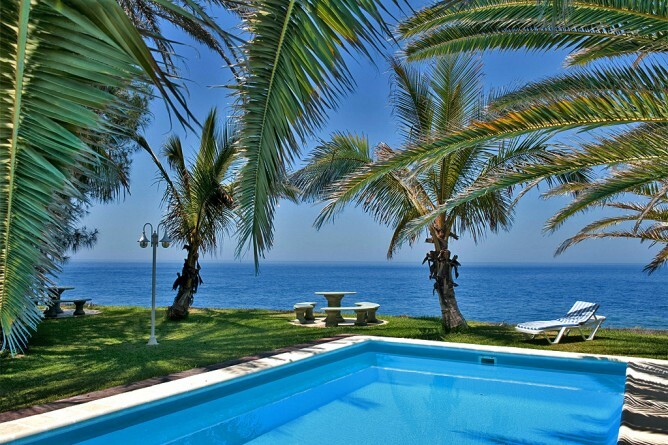 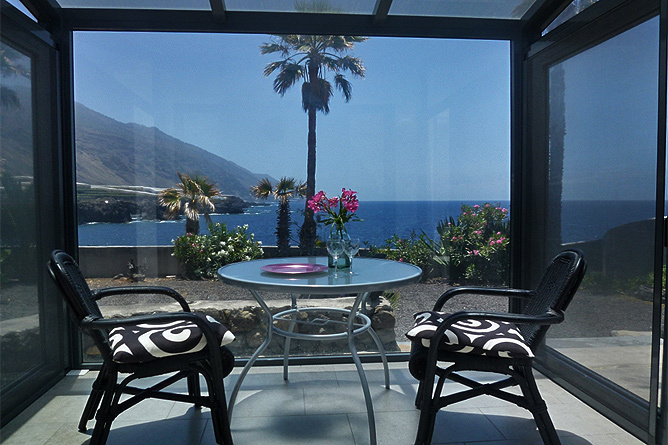 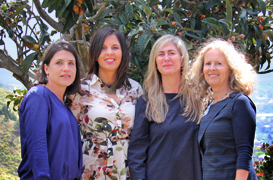 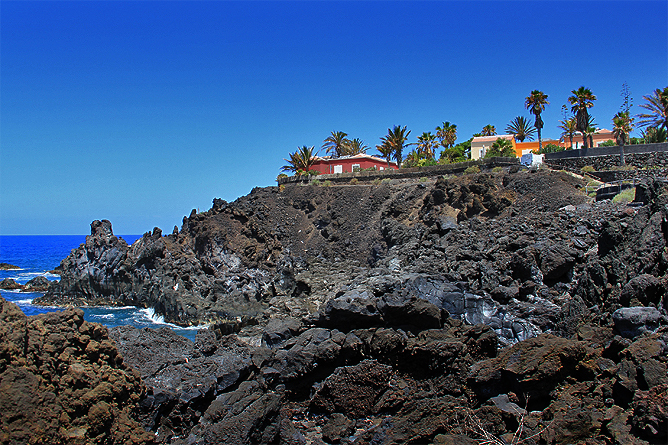 Casa Lila is located in the bay of Charco Verde, about 3 km south of Puerto Naos. 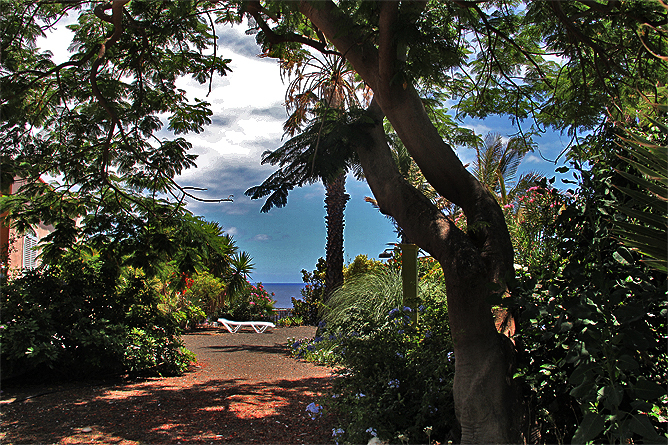 The location of the small seaside holiday complex, hidden behind banana plantation is one of a kind. 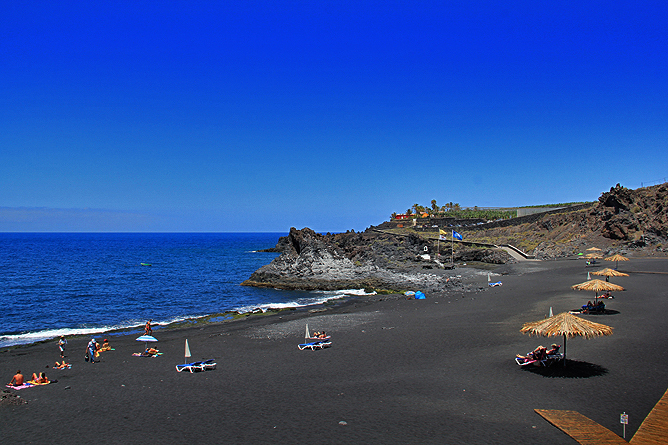 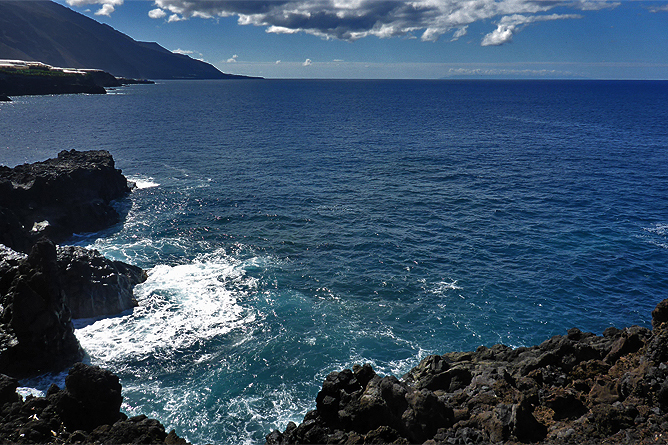 Charco Verde beach is only 200 meters from Casa Lila and has been rewarded with the ecological Blue Flag. 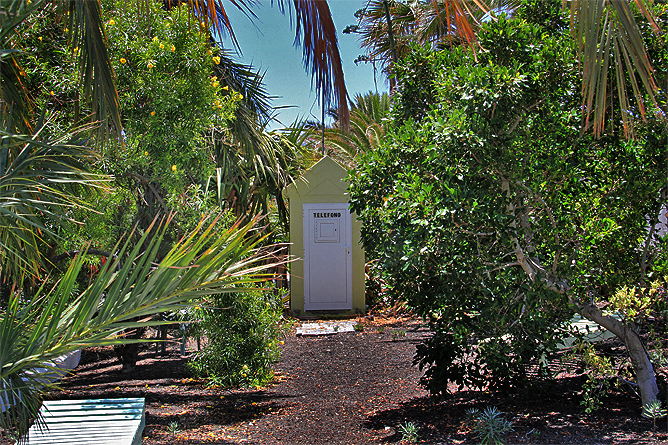 On the beach you also find a small kiosk where you can buy snacks and refreshing drinks. 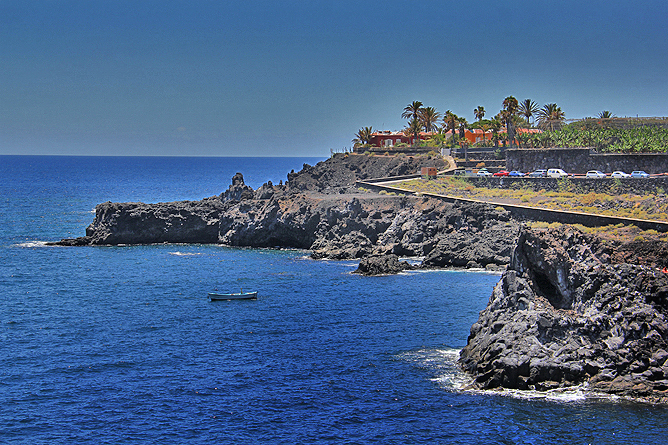 About 3 km from Casa Lila, in El Remo you can enjoy freshly caught fish in one of the three beach restaurants while watching the sea. 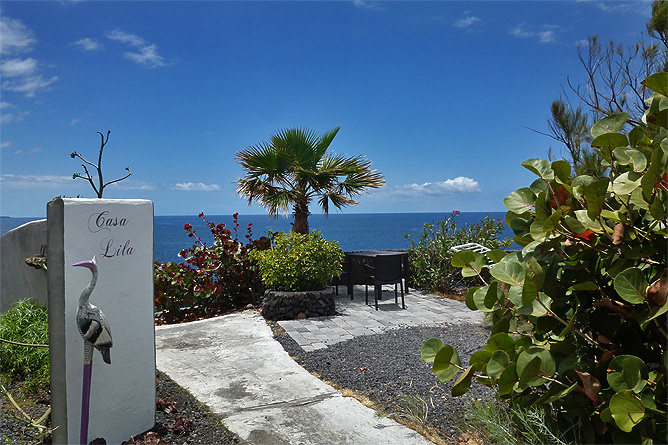 The atmosphere in these restaurants gets even more beautiful during sunset! 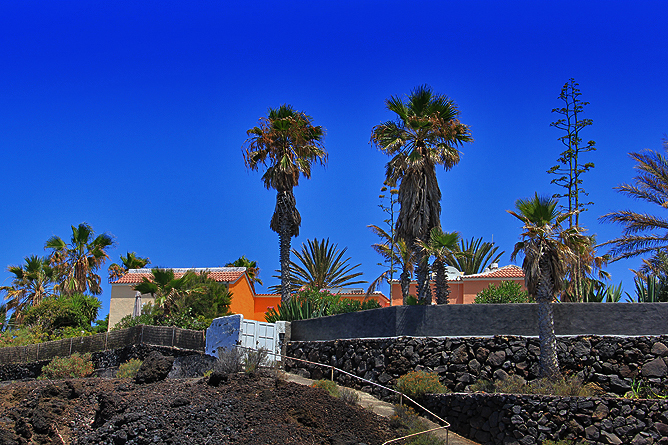 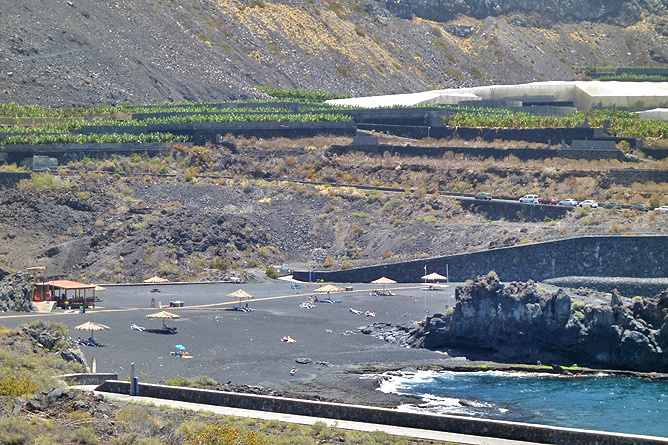 Puerto Naos with its wide palm-lined sandy beach and its beautiful beach promenade is 2 km from the Holiday Complex. 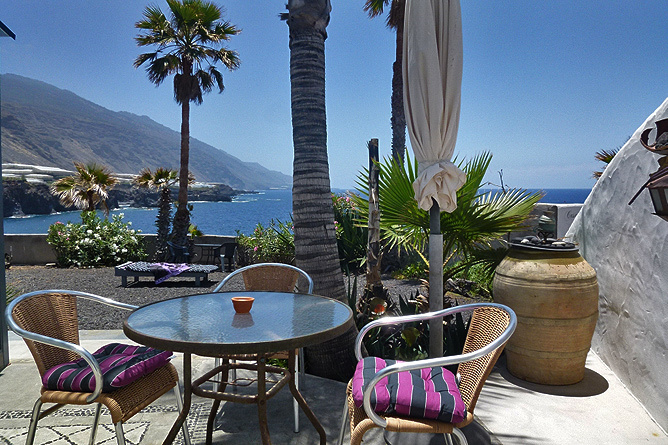 There you find bars, cafés and restaurants, supermarkets and other shopping facilities. 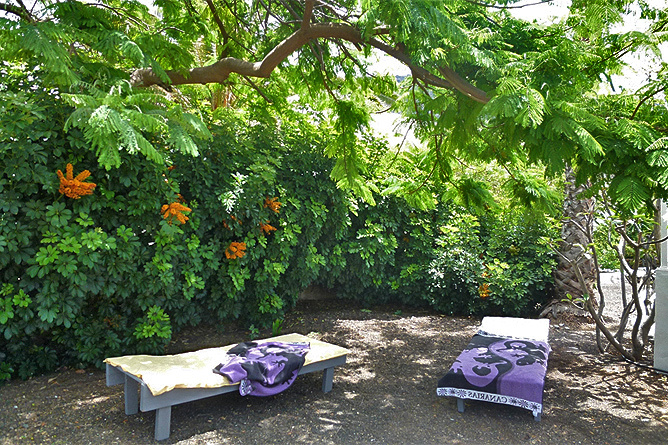 About 200 meters from Casa Lila there is a bus stop. 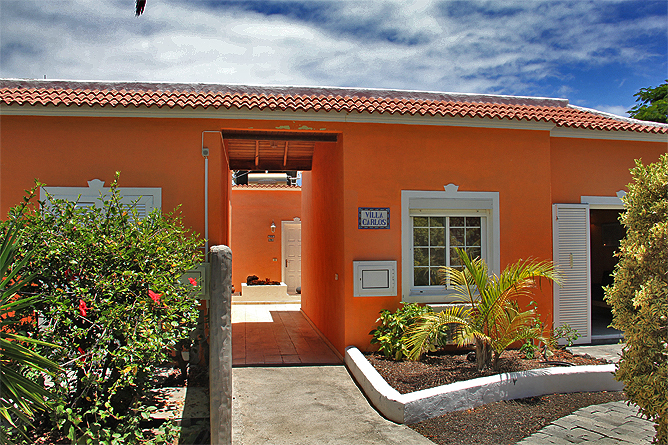 However, we recommend a rental car, so you will be able to comfortably explore other regions of the island. 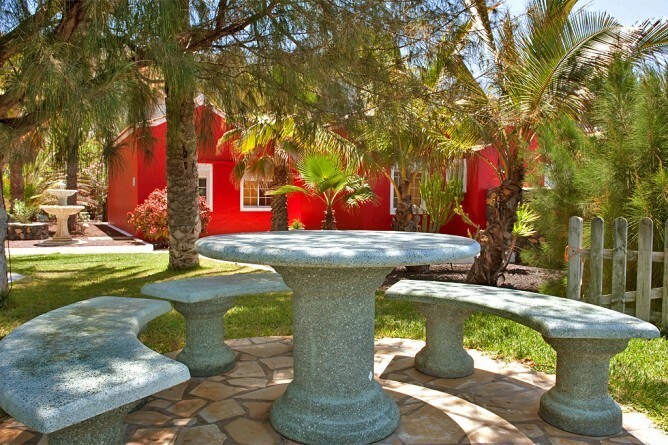 Los Llanos, the largest town on the west side is located within 20-25 driving minutes. 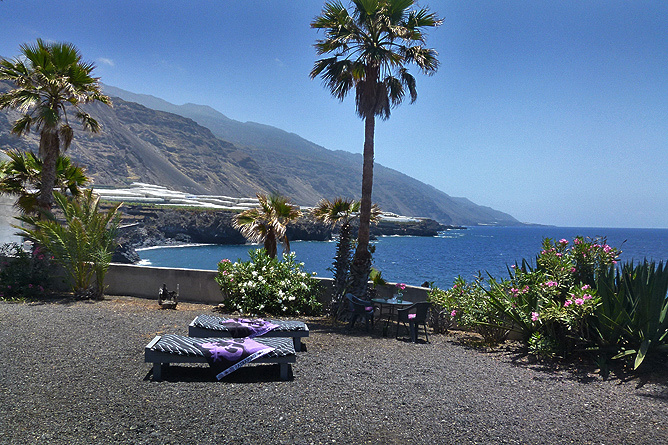 Seaside Holiday Apartment Complex on the Cliffs with Atlantic Panorama.